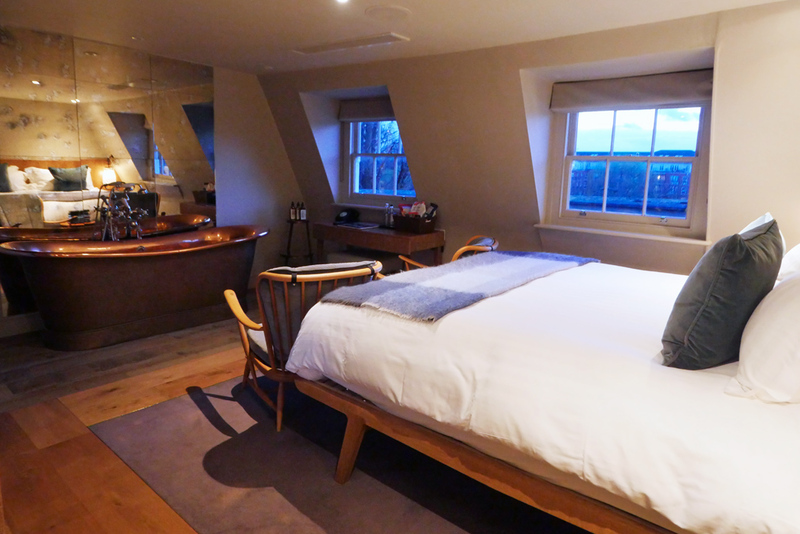 For sheer self-indulgence, you can’t beat a staycation, so of course I jumped at the chance when I was invited to visit Bingham Riverhouse Hotel to check out the new refurbishment. Bingham Riverhouse Hotel was originally built in 1740 as two Georgian houses. From 1899 when Katherine Bradley and Edith Cooper lived there, it became something of a literary hub with visitors including W.B. Yeats. The glorious setting must have been a real attraction. As I was to discover, the new refurbishment has paid tribute to the literary past of the building both by naming each room with a character from one of the books produced here and by lining the public spaces with row upon row of penguin classics…the real thing, not fake wallpaper that disappoints when you try to sneak out a book to read! 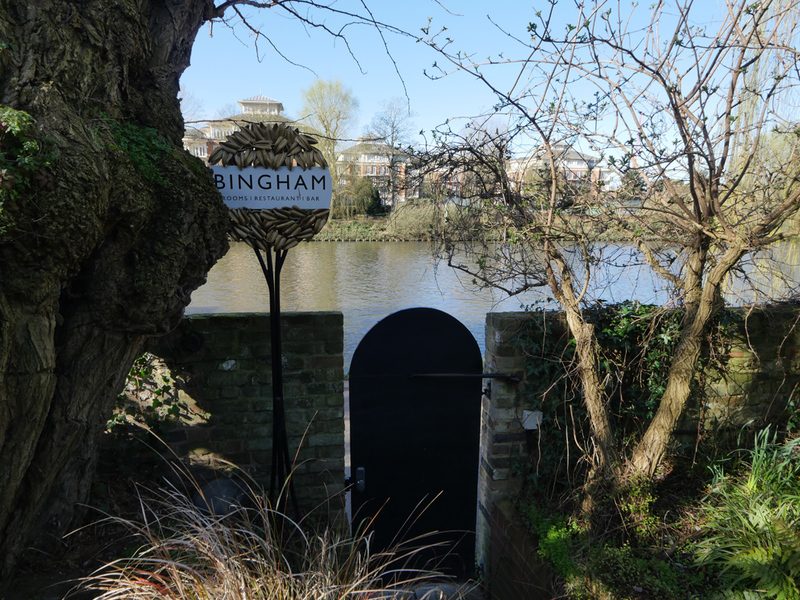 I first visited Bingham Riverhouse in its previous guise as ‘The Bingham Hotel’ and went back a couple of times to enjoy the lunch menu there. I have a friend who lives in Petersham and for those who don’t know the area, you can walk from Richmond to Petersham along the towpath of the Thames and across Petersham Meadows (as painted by Turner) in about 45 minutes (depending on how often you stop to admire the view). “be themselves, feel at home, nurtured and cared for, more than ever before”. Well, the ultra-friendly reception team showed me to my river room – right up on the third floor of the building in the eaves. I also checked out a couple of the standard doubles for the sake of comparison. Although they looked beautifully furnished, I have to confess that unless I planned on ‘not staying in’, I’d be tempted to splash out on one of the more spectacular river rooms. That said, there are plenty of public spaces with great river views too. I loved my room. 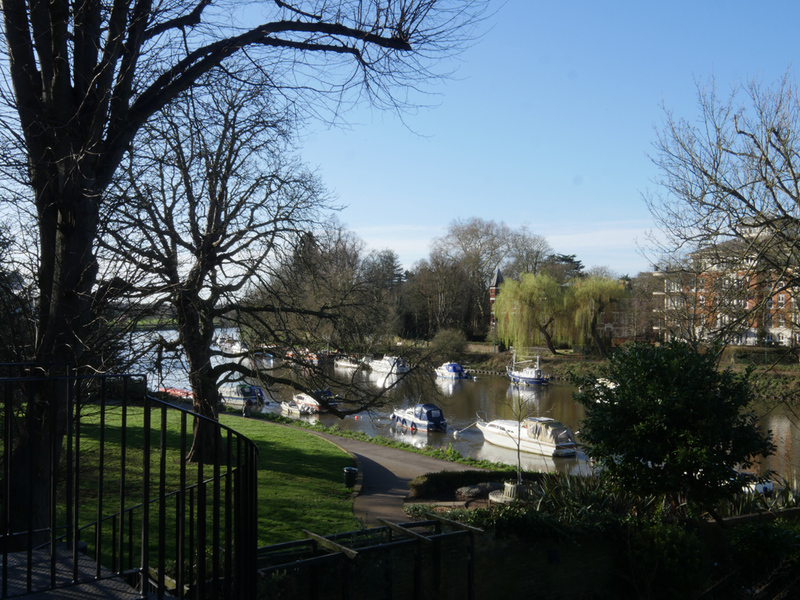 The attic windows offered a stunning view out across the River Thames. 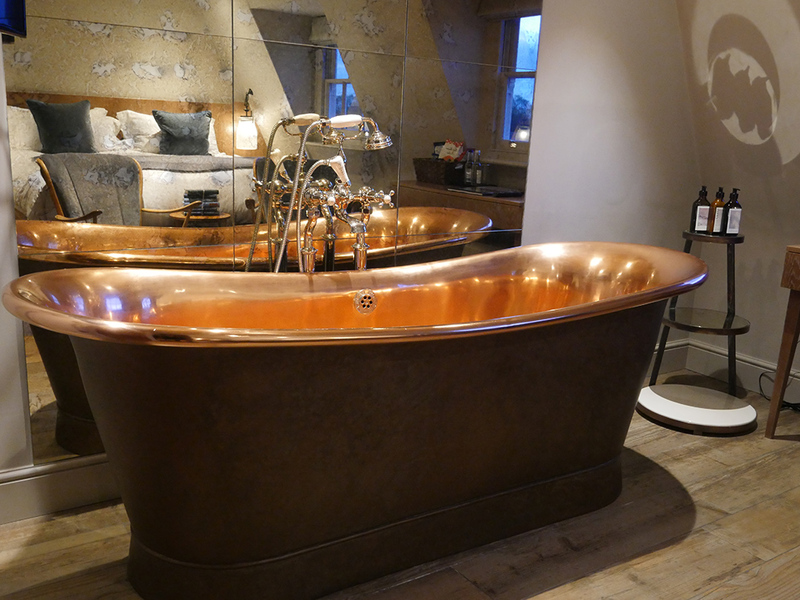 Scandi Hygge style decor with contemporary velvet and light wood chairs, a massive and comfortable bed raised high enough to peek through the windows from under the duvet and an impressive free-standing copper bath tempted me to indulge before bed. 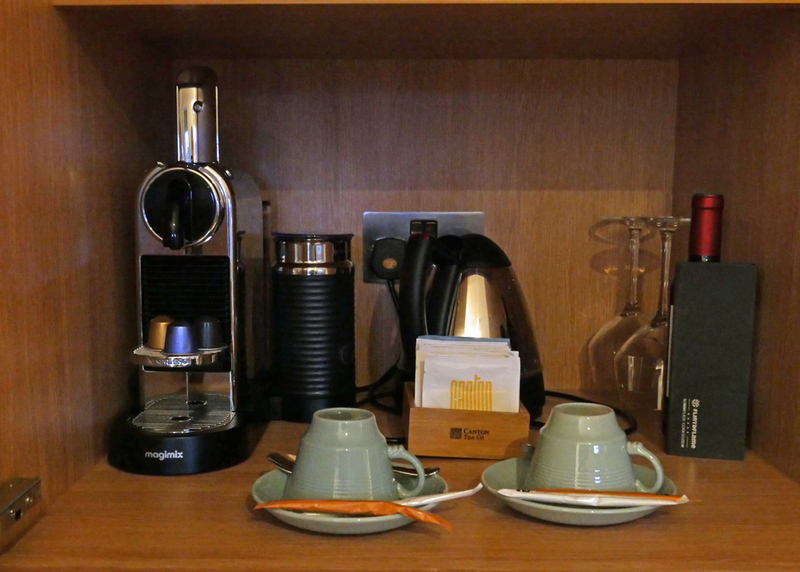 A neat mini-bar, tea and coffee making facility (those teacups are so English – the same ones my grandma used for ‘every day’) was tucked away in a wardrobe, together with all the extras you might need to make your stay comfortable including a tiny bottle of fresh milk and complimentary water. 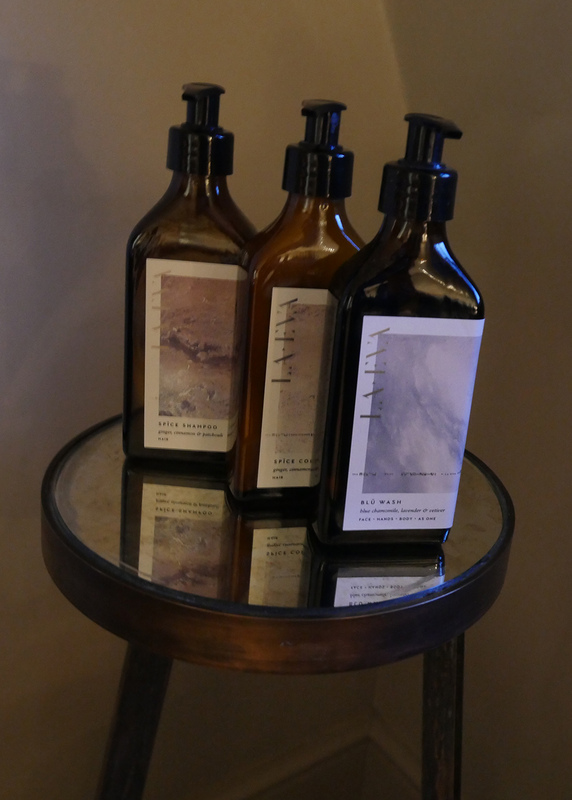 Luxurious toiletries came in environmentally friendly glass refillable pumps set out both by the bath and in the well set up shower room. And there were deliciously fluffy robes to curl up in. Little details like plenty of sockets, with USB plug fittings and quirky design elements, books and a traditional phone made the room feel special. I felt a touch of vexation that dinner was booked for 7.30pm – I’d happily have just stayed in. 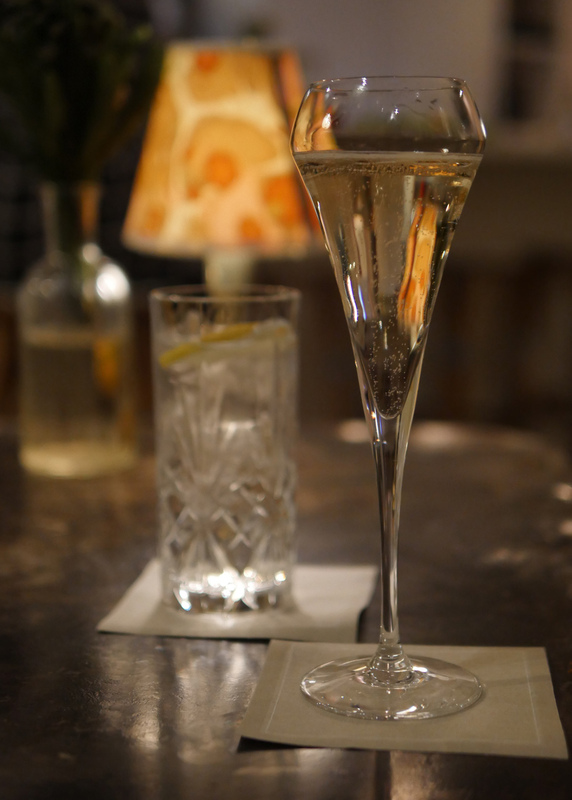 Instead, I made my way down to the cosy bar area to enjoy a glass of Hattingley Valley English Sparkling Wine before dinner. 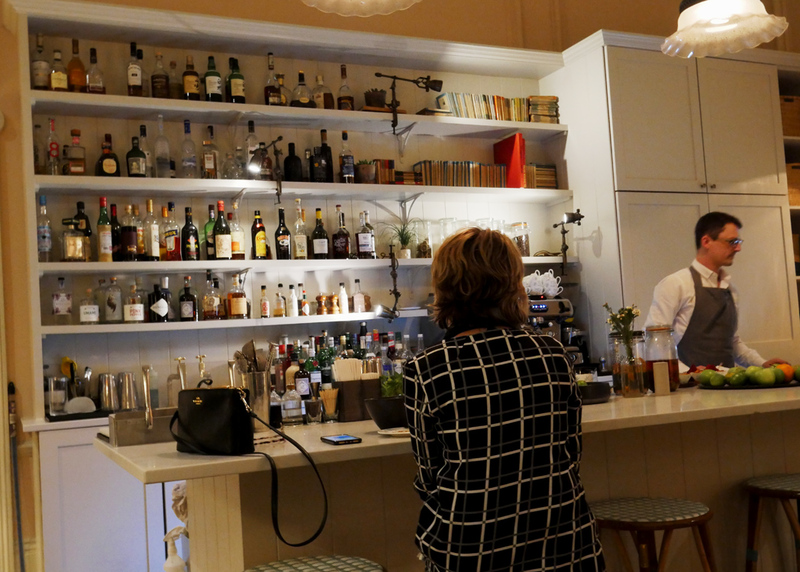 The Bingham Riverhouse restaurant has three AA rosettes, it’s somewhere I’ve enjoyed for lunch in the past so I was delighted to be there to try the evening a la carte menu. 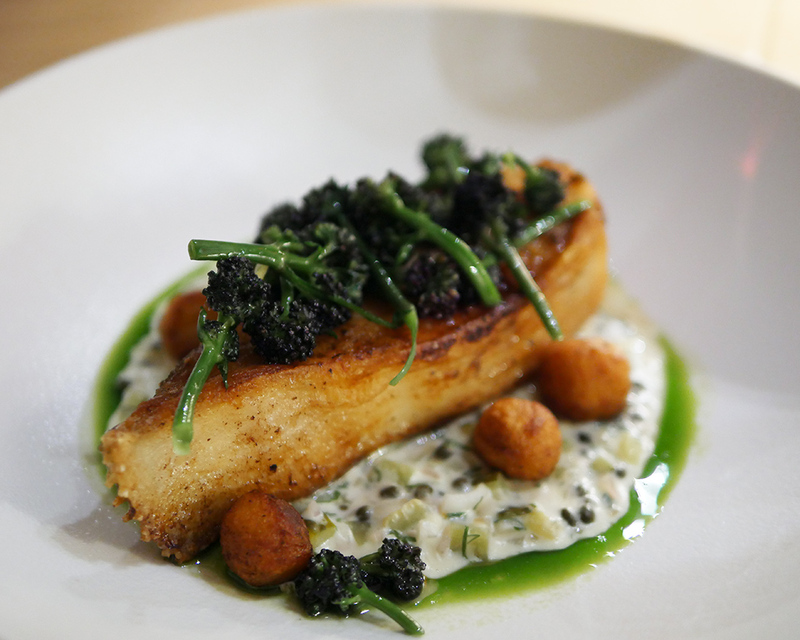 There are six choices on the menu at each stage and pricing is set at £37 for two courses and £45 for three courses. Wine pairings are available at £25. Head Chef, Andrew Cole prides himself on creating modern British dishes using fresh seasonal ingredients. 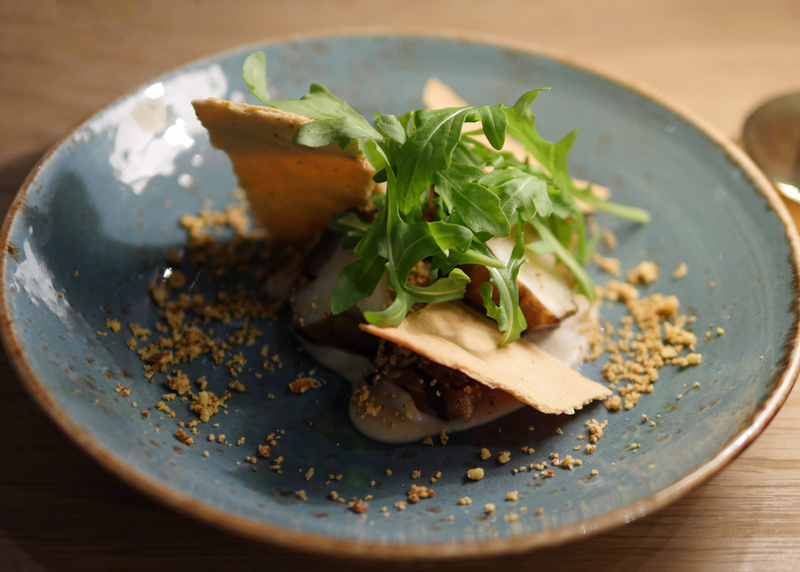 A starter of Jerusalem artichoke tartlet was delicious, though quite deconstructed, Cep mushrooms, rosemary and a smoked almond crumb complemented the flakes of pastry and chunks of Jerusalem artichoke. I was surprised to learn that my wine pairing of Morande Estate Reserve Gewurtztraminer came from Chile, more minerally and less floral than I’d expected I thoroughly enjoyed the match. 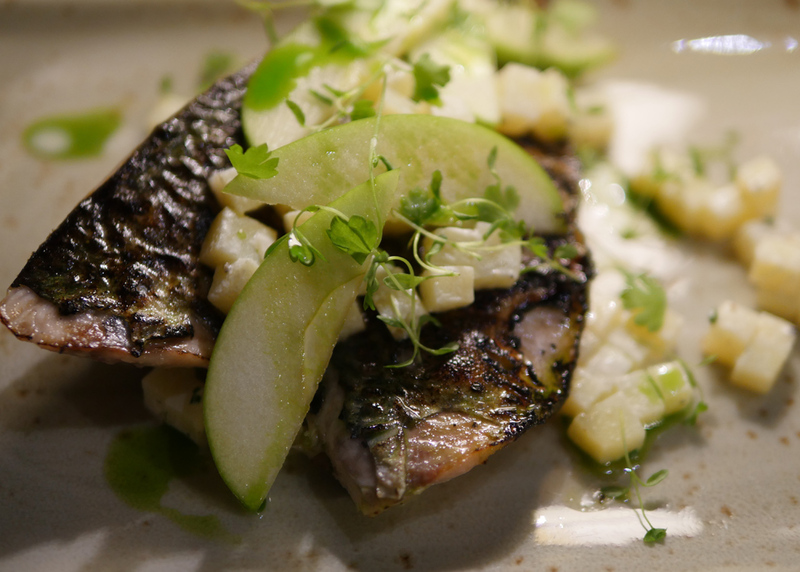 My colleague’s grilled butterflied mackerel with creme fraiche, Granny Smith apple and potato salad and chive oil. He was impressed although said he’d have liked a little more torching on the mackerel. His pairing was a Trimbach Riesling from Alsace. He was happier with the turbot on the bone he ordered as a main course (which comes with a £3.50 supplement). Served with fondant potato, purple broccoli and a warm tartare sauce, it was an impressive portion, beautifully caramelised and perfectly cooked. His pairing of Yealands Estate Sauvignon Blanc apparently worked well. 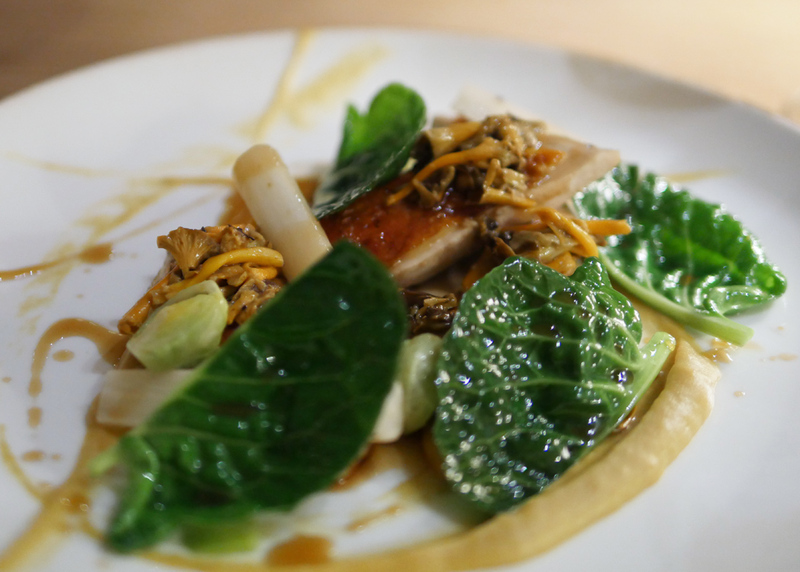 For me, a pretty plate of guinea fowl breast with salsify, sprouts, mustard puree and chanterelle mushrooms, all perfectly cooked and beautifully plated was paired with a light Comte de Lupe Bourgogne Pinot Noir, Lupe-Cholet 2016. I did order a side of triple cooked chips too, which we devoured between us. 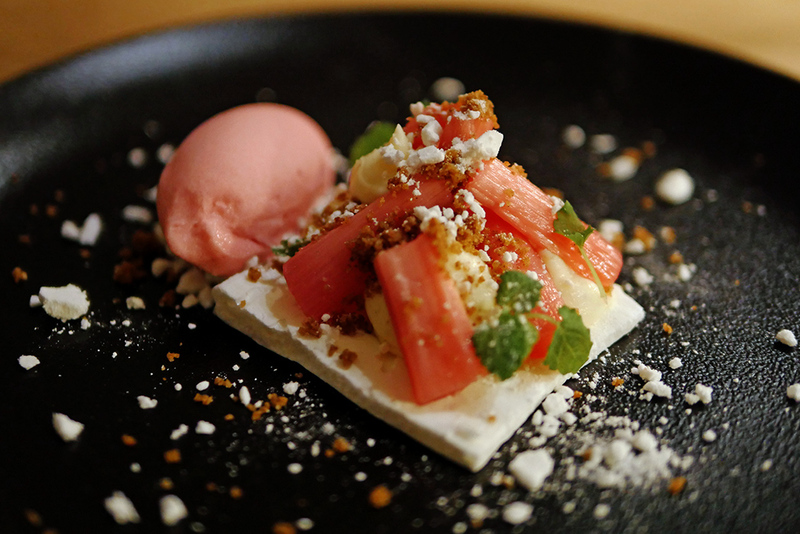 Dessert for me was a seasonal rhubarb pavlova, light and pretty with flakes of meringue and rhubarb sorbet. 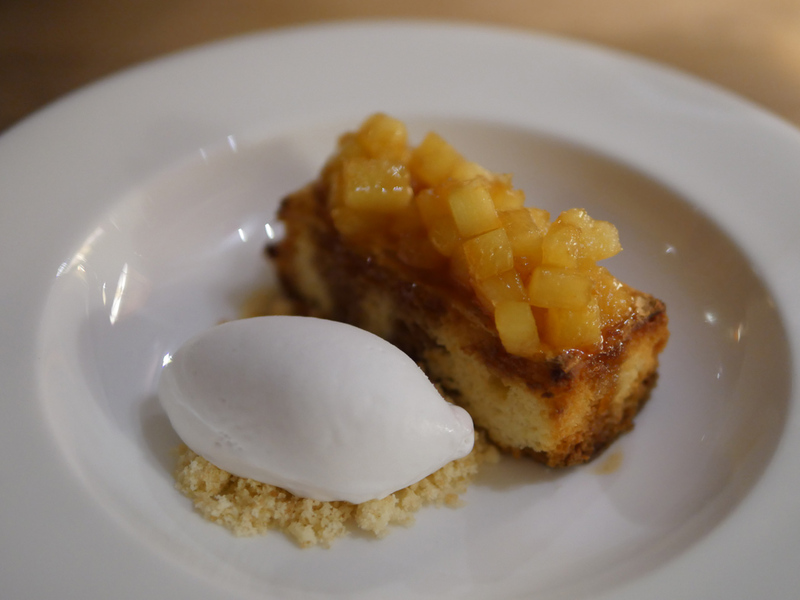 My companion loved his pineapple upside-down cake so much I didn’t get to taste it at all. Served with a spiced rum caramel and coconut sorbet it sounded delicious. I tumbled upstairs to bed and curled up with a book for an hour or so before I fell asleep. Breakfast at The Bingham Riverhouse Hotel is a mixture of buffet and menu options. 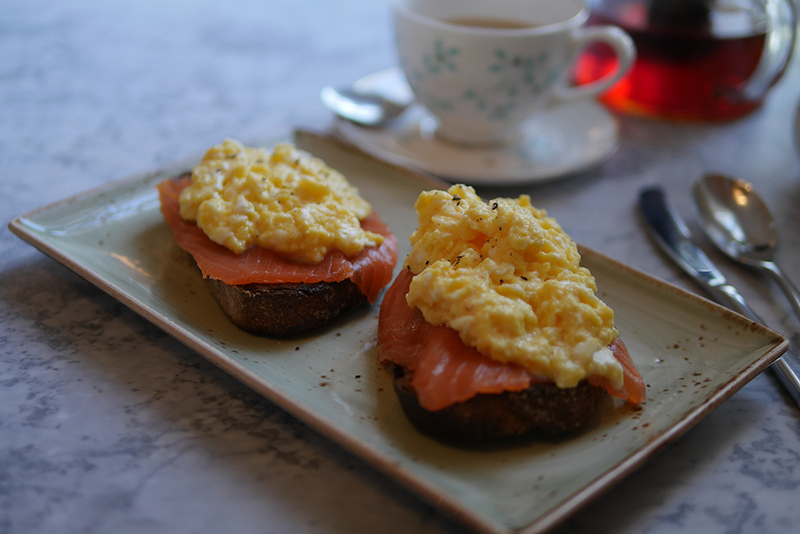 Having feasted so well the previous night, I opted for scrambled egg with smoked salmon on sourdough, a lighter option. I still couldn’t manage to finish what was a generous portion. 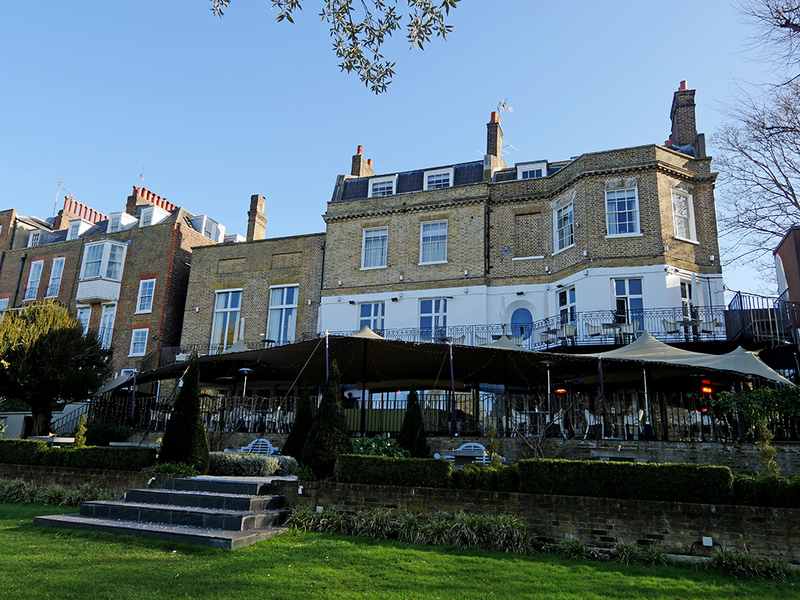 On a sunny morning, the Bingham Riverhouse Hotel offers unrivalled views across the Thames. 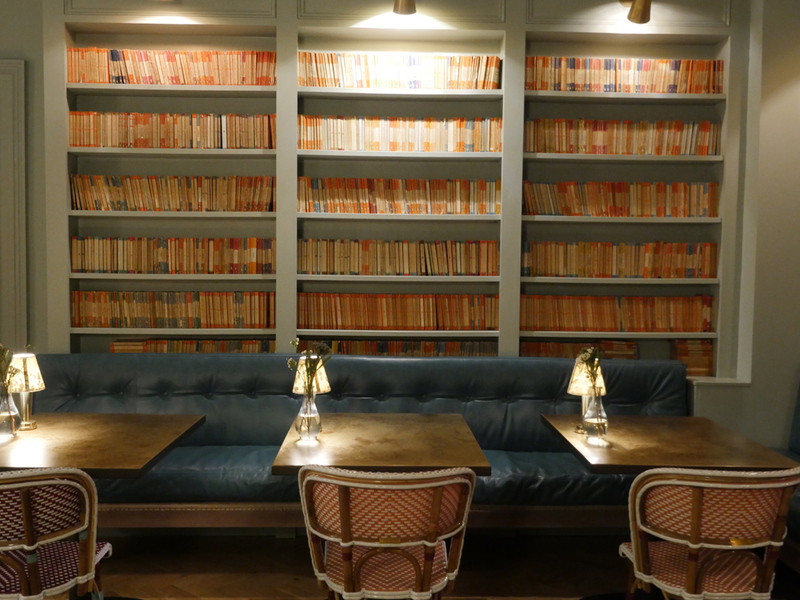 The newly refurbished dining rooms and bar are lined with old penguin classics and it’s the kind of space where I could happily spend all day reading. There’s a stunning terrace too with tables and refreshingly for me, with a no-smoking sign so that when it is warm enough to eat al-fresco the area doesn’t become out of bounds for those of us who don’t smoke. 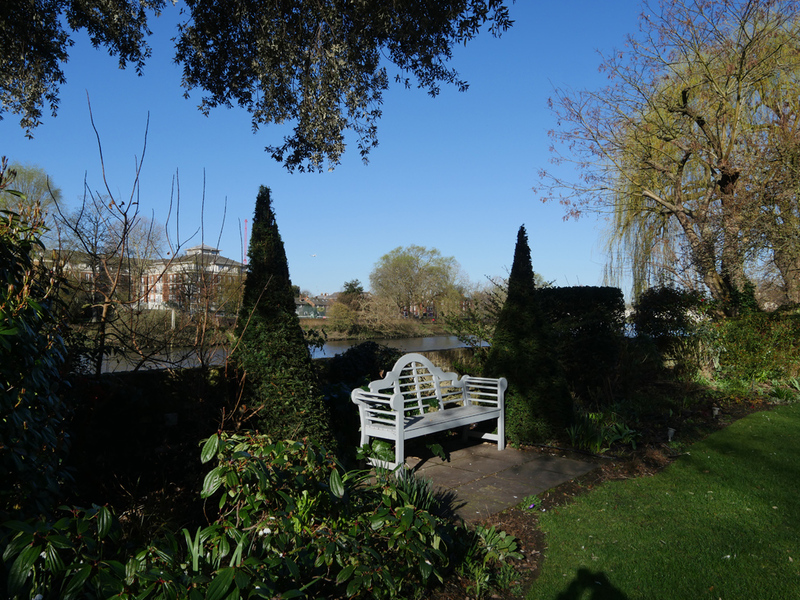 There’s also a charming garden with a lawn and little hidden spaces to sit and while away the hours. 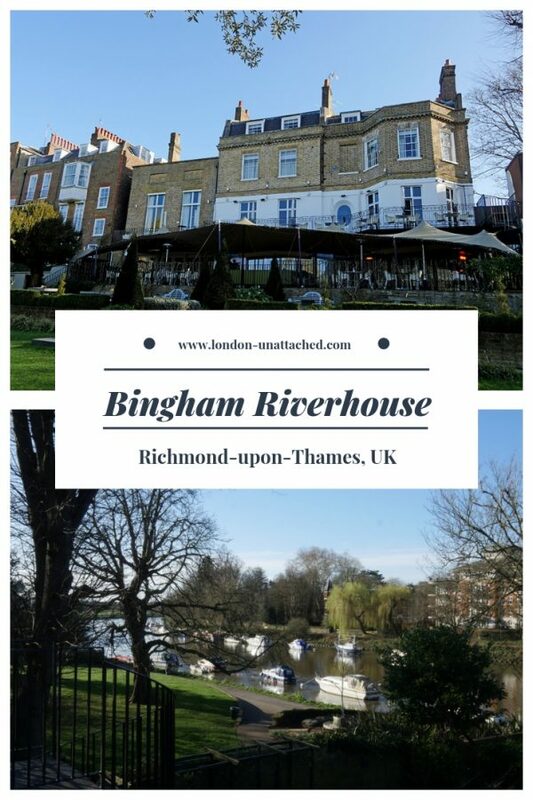 With just 15 rooms, Bingham Riverhouse Hotel is the perfect Boutique Hotel, somewhere I am sure guests will return to on a regular basis. It does indeed feel like a home from home, the kind of space where if I was visiting London I’d love to use as my base. Thinking of visiting yourself? Why not pin this post for later? Disclosure: We were guests of Bingham Riverhouse Hotel. All content is editorially given.